Preheat oven to 350F. 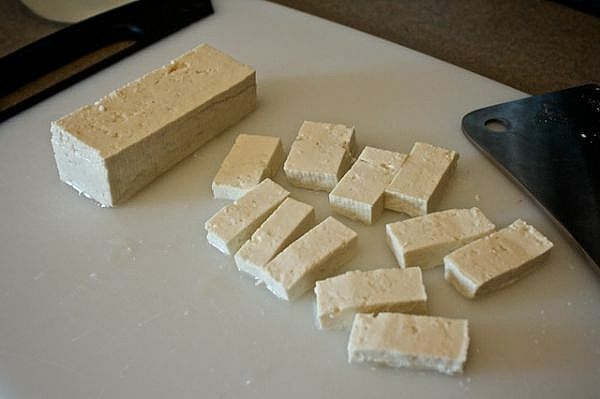 Slice tofu into sticks and toss with remaining ingredients. Allow to marinate 30 minutes or overnight. Place tofu on a baking tray and bake 15-20 minutes or until golden brown. Remove from oven and enjoy hot or cool. Yields 24 sticks.